The all-new Ducati Monster 821 comes with a Euro 4 compliant engine which produces 109 B Hp of power along with 86 Nm of peak torque. In addition to this, the bike comes with three different riding modes namely Sport, Turing and Urban. Ducati India has today launched the Monster 821 naked sports bike in our country. 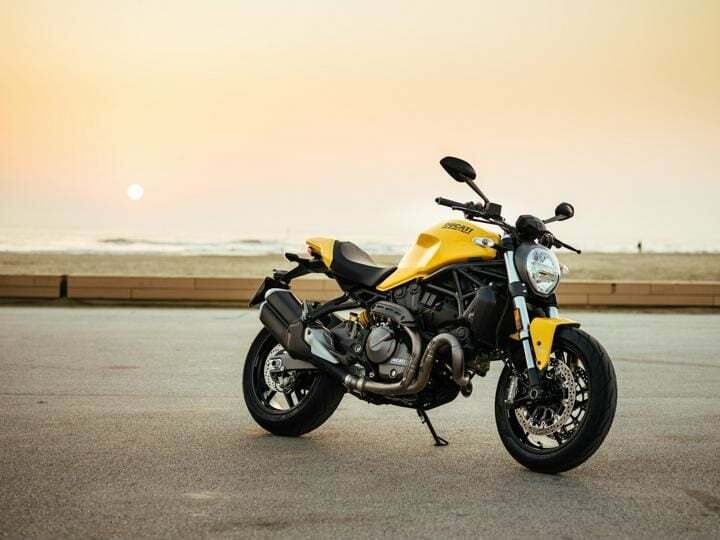 The Italian bike manufacturer states that the Monster 821 takes its inspiration and hence pays homage to the Monster 900. The 2018 iteration of the Monster 821, just like its sibling 1200, was redesigned to provide it with a sleek silhouette. Consequently, making it the ideal naked sports bike. The Ducati Monster 821 is going to cost INR 9.51 Lakhs (ex-showroom). According to Ducati, the 2018 Monster 821 is more streamlined than before. It comes with fully restyled tank and tail. In addition to this, it comes with an all-new exhaust and headlamps. The latter features a classic as well as iconic look. To make the Ducati Monster 821 feel modern, the bike manufacturer has provided it with a coloured TFT instrument display. This display relays the current gear, fuel level among other useful information. Also Read: Upcoming Bikes In India 2018- KTM 390 Adventure, Hero Xpulse, Royal Enfield 650 Twins and More! 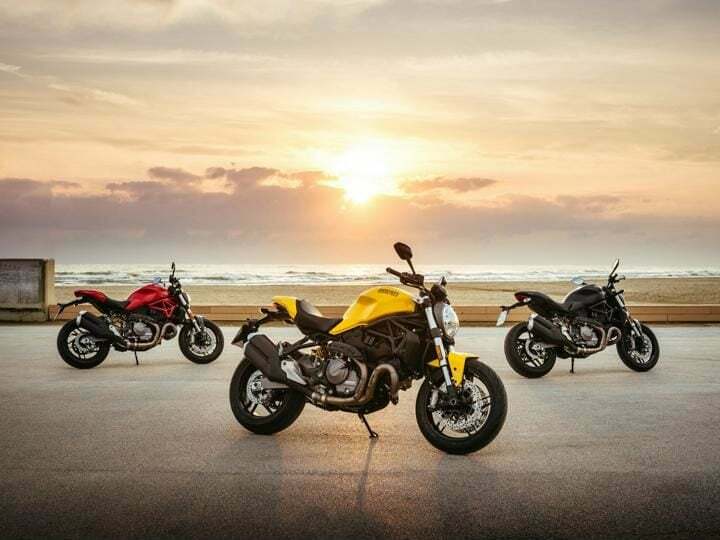 The 2018 Ducati Monster comes to India in a total of three different colour schemes. These are namely Yellow, Red and Black. The Monster 821 comes with a Euro 4 compliant engine. This motor churns out 109 BHp of power along with 86 Nm of peak torque. The 2018 Ducati Monster 821 comes with the Ducati safety pack. It comprises of Bosch 9.1MP ABS system and Ducati Traction Control. Both of these are adjustable. To further enhance the riding dynamics of the bike, it comes with three riding modes. These are Sport, Touring and Urban. Furthermore, the bike comes with Brembo brakes with dual 320 mm disc and M4-32 monobloc callipers at the front. The 821 comes with 43mm fork suspension at the front. While the rear comes with monoshock with spring-loaded adjustment. The new Monster 821 comes shod with a Pirelli Diablo Rosso III 120/70 tyre on the front and 180/55 on the rear. Ducati is offering the 821 with DQS (Ducati Quick Shift) up/down, an electronic system derived from racing that makes it possible to change gears without the use of the clutch. This feature is available as an optional extra. Bookings for this naked sports bike are already open. Deliveries will commence from the month of June 2018.